Say good-bye to silver foil and hello to easy and convenient to use aluminum lids! 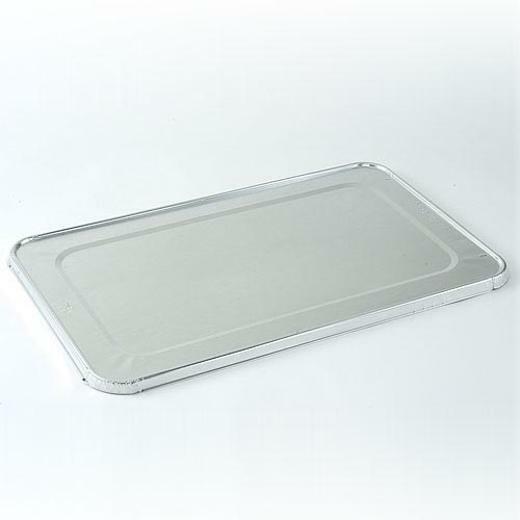 These full size lids are perfect for any home cook or professional for storing or transporting food or other items. These disposable lids, measuring 12.5"x20.5"x.5", are a great way to take the mess out of any cooking experience! Pan sold separately. 12.5 in. x 20.5 in. x .5 in. L: 12.5 in. W: 20.5 in. H: 0.5 in.